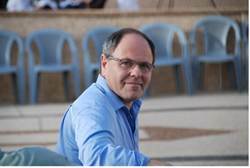 Danny Dayan, who heads of the unofficial federation of communities in Judea and Samaria known as the Yesha Council, sent a letter to the Prime Minister Wednesday demanding an immediate response to the Palestinian Authority’s bid for UN recognition. He asked Binyamin Netanyahu to decide upon retaliatory steps to the unilateral Palestinian Authority (PA) move without delay and vote upon them in Sunday’s Cabinet meeting. Spain has meanwhile announced that it will support the PA move, out of the belief that it is “the best possible step” for advancing the peace process in the region. Switzerland, too, has said it will support the PA’s request because it is “efficient and practical.” Denmark has made a similar announcement, as has France. In response to the PA’s move, Israel reportedly intends to freeze the transfer of tax revenues it levies at its ports on behalf of the PA, and to deduct the PA’s debt to the Israel Electric Authority from the sum Israel owes the PA.